A local mom who lost her daughter in the Pulse Nightclub shooting is joining others to demand change in Tallahassee. TAMPA, Fla. — A local mom who lost her daughter in the Pulse Nightclub shooting is joining others to demand change in Tallahassee. "She was my best friend," said Mayra Alvear. Alvear's daughter Amanda was killed at the Pulse Nightclub shooting in 2016. "Since the beginning, it was just about love and not hate. We didn’t want hate to take over," said Alvear. Alvear has made it her mission to promote love like she says her daughter would’ve wanted, and help stop gun violence. "I don’t want other families to go through what I went through because it's when you wake up and you take it to bed every day," said Alvear. Alvear is part of a group called Moms Demand Action, which is heading to Tallahassee next month, taking its concerns to lawmakers. They want domestic abusers disarmed, gun show loopholes closed, and universal background checks: things that second amendment activists say won’t help protect people. "The FBI just released their latest study on where criminals acquire guns. Criminals steal guns and buy them on the streets and no number of background checks is going to prevent that," said Eric Friday from the group Florida Carry. 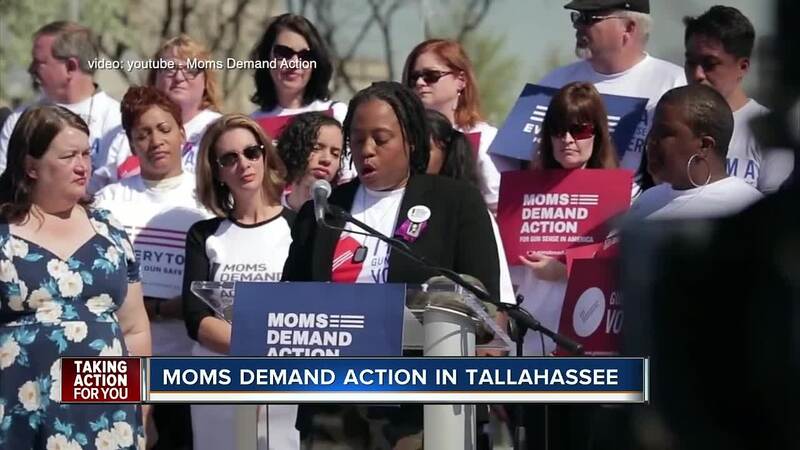 Moms Demand Action says their proposals have been effective in other states and they're inviting supporters to join them in Tallahassee on February 6. For more information on Moms Demand Action, click here .